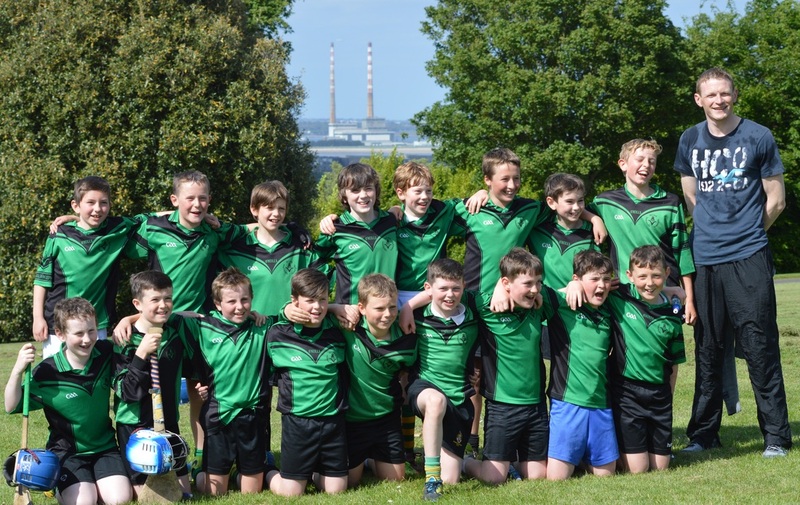 St. Joseph’s sporting success continued this week with some great performances including three medals in Santry athletics (more photos added thanks to Mark Monaghan) , our Junior hurling team winning their league and a first ever golfing trophy when we won the Castle Cup beating 14 other teams. 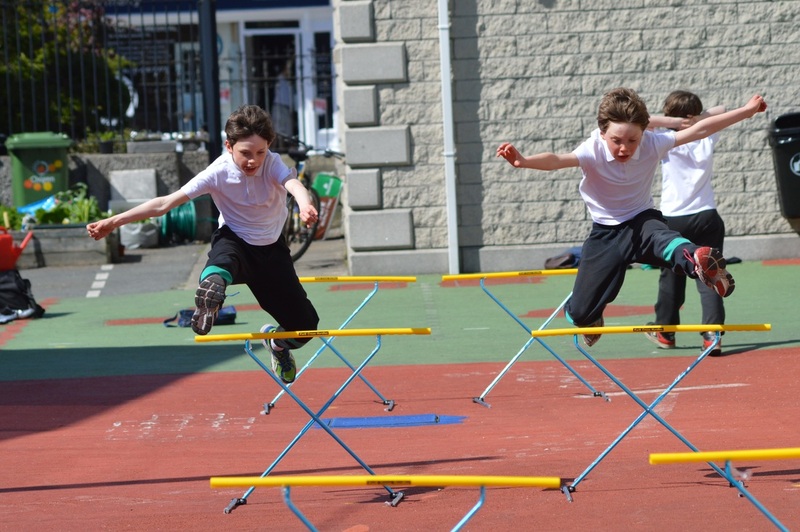 Sports Day photos here. 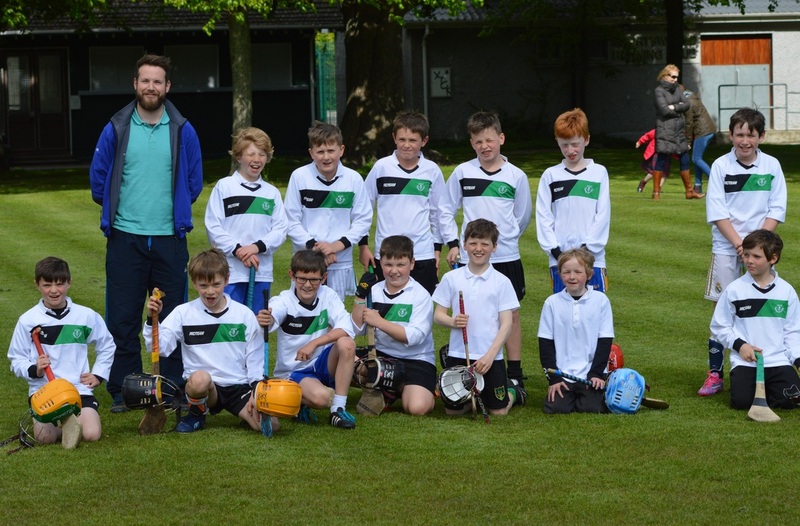 Our senior hurling team coached by Mr. Reale and Mr. Ó Riain have qualified for the final of the Marino Shield to be played in Croke Park next month. 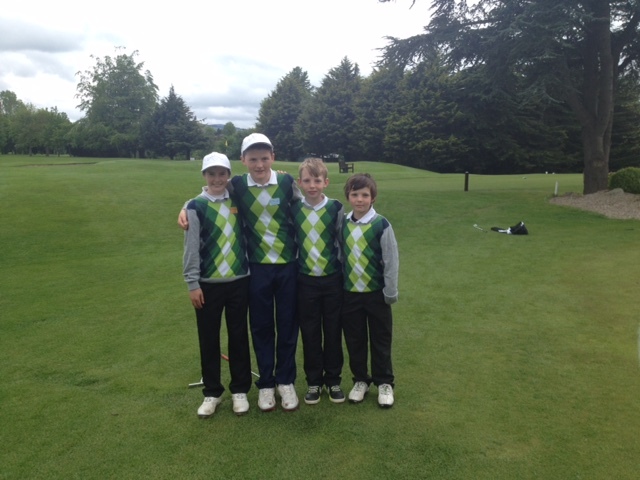 Today they had a hard fought victory over Portmarnock in Russell Park. More photos here. 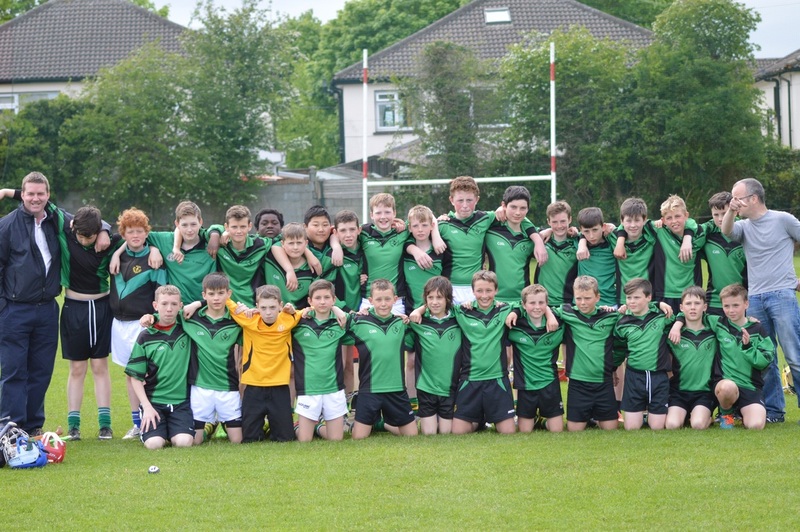 Our school athletics squad have been training hard for two days of Santry coming up in the next few weeks. Photos and Video. 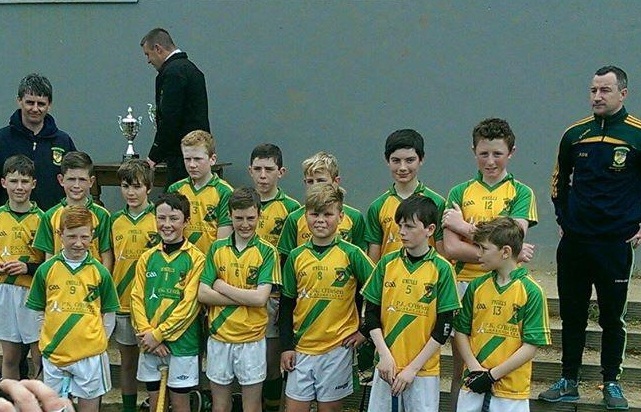 Meanwhile our junior white hurling team recorded a narrow victory on Tuesday v. Hollypark. 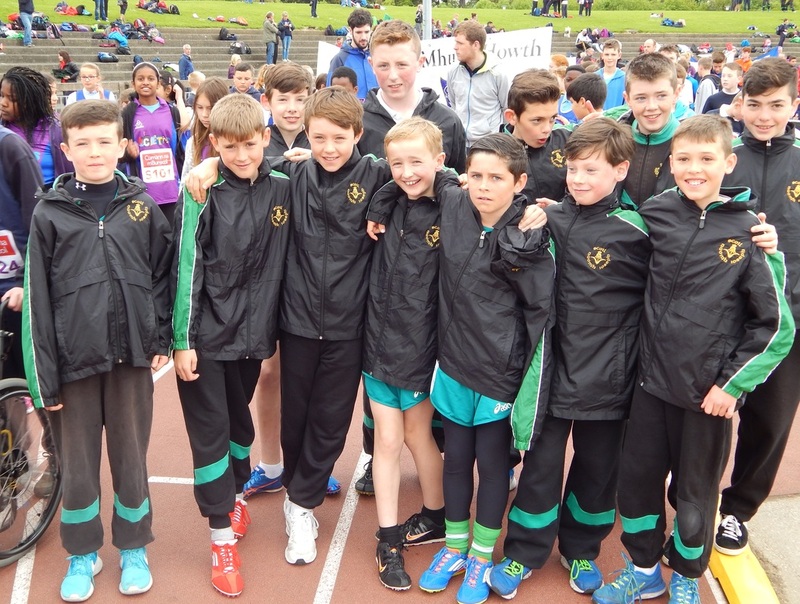 Our parents, pupils and past-pupils have been involved in sporting success this weekend. 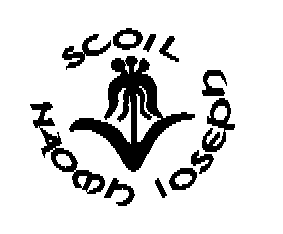 Past pupils Shola Edodo, Richard Keogh and Matthew McGetrick have won coveted medals for their schools, Templeogue and Terenure Colleges in the Leinster Schools Track and Field championships and will now compete in the prestigious All Ireland finals in Tullamore at the end of the month. 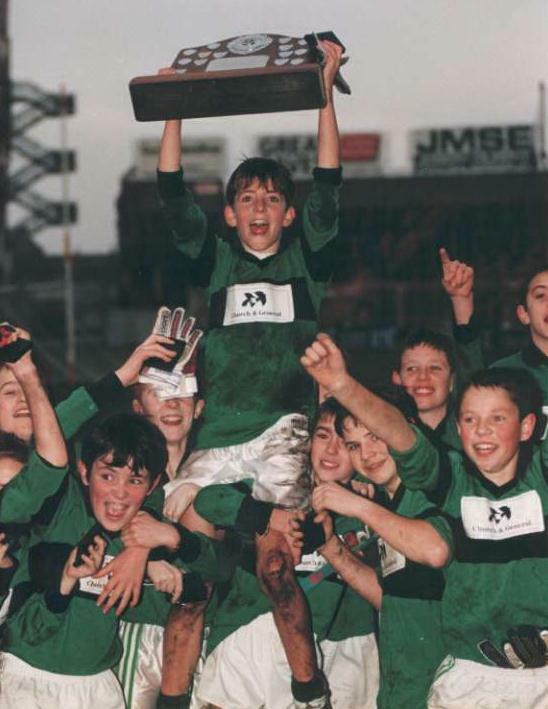 Terenure FC Under 11s captured the Lee Kavanagh cup with a 2-0 victory. 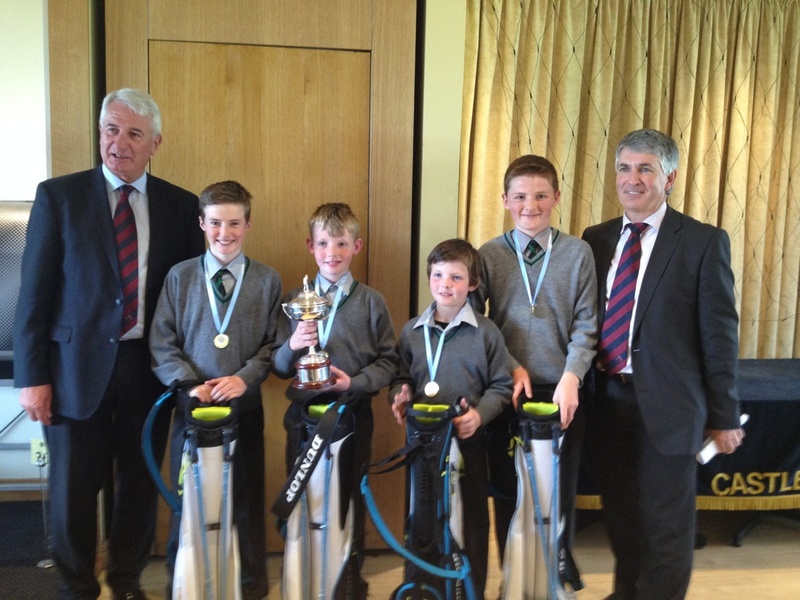 Colum found the net and was ably assisted by teammates John, Conor and Rowan. 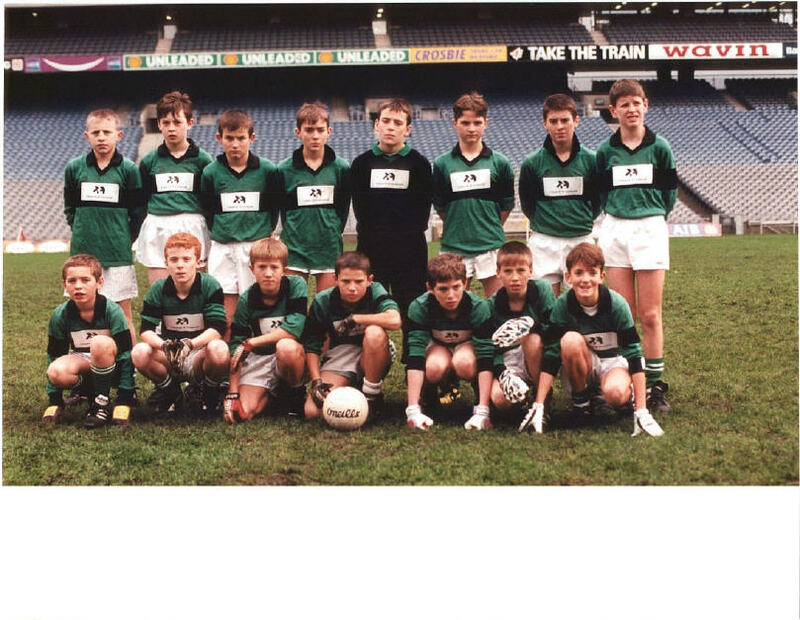 Faughs Under 13s with several Joeys boys won the Ryan Cup while Templeogue Synge St. backboned by boys from last year´s 6th class won the Under 14 football féile. Several of our parents were spotted in the Terenure 5 mile run. 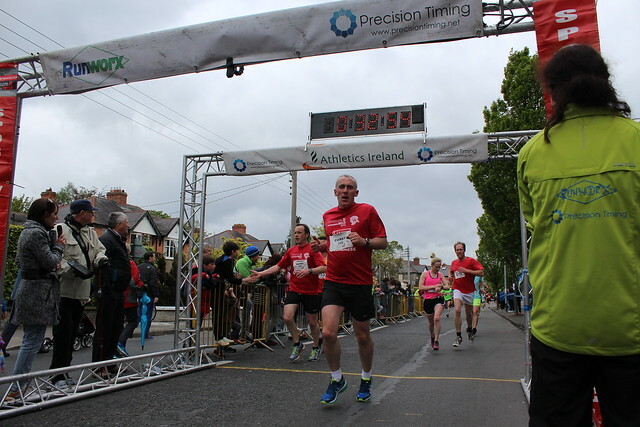 A special well done to Carol Dempsey who finished 17th out of almost 600 women in the race although some of our dads did narrowly beat her as seen in the photo below! Our early potatoes planted in bags a few weeks ago are really thriving. There are three in each bag and you can see how much they’ve grown since early April. They are in a sunny spot, well sheltered from the wind. Here’s hoping for a tasty crop before the summer holidays. You can keep an eye on this peregrine falcon nest in Rome, Italy and on this white stork nest near Munich, Germany. 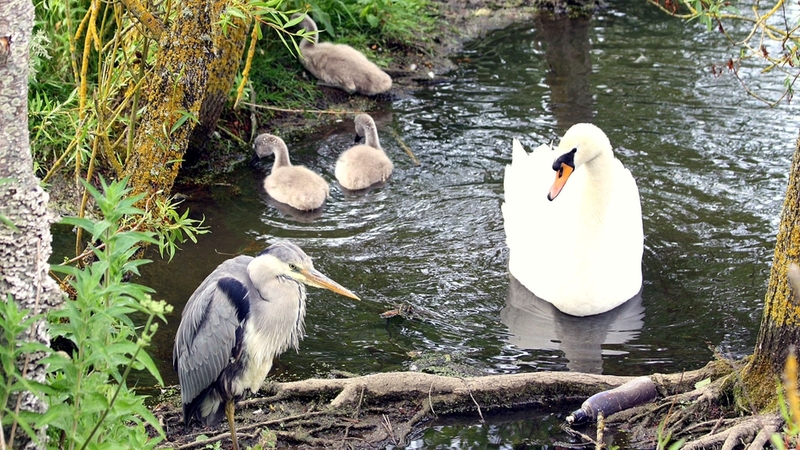 You can also follow some birds as they migrate from Africa in the springtime. This website follows eagles and storks that carry tracking devices as they return to Eastern Europe. Click the “to start” button and then play to watch the birds movements over a few months. Here you can track some cuckoos that spend a few months in summer in England and return to Africa in the Autumn. Stork nest in Holland.